There are few things better than good food, great drinks and a wonderfully friendly atmosphere. When you are out there, in Devon, there are plenty of places where you can enjoy every single element associated with legendary British pubs. When you are near Broadhembury, you are greeted by a beautiful thatched village and an equally beautiful 15th century inn that is the Drewe Arms. The pub has created a brilliant reputation for fantastic fine dining and is constantly booked at all times. If you are looking to walk into this pub, you can forget about it. The cuisine is something that favours those who like fish. With a definite bend towards a Scandinavian taste to their cuisine, the Drewe Arms is definitely one place where you would want to be. There is some wonderful open sandwiches as well as a wonderful wine list to go with it. Whether you sit in the beautiful garden outside or just sit inside this award-winning pub, you are guaranteed to enjoy every single bit. 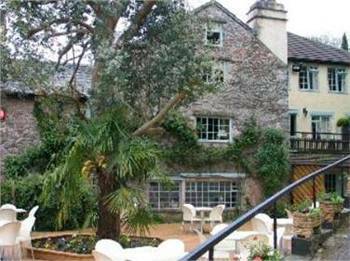 As you pass through Umberleigh, you come across a fantastic 13th century building that overlooks the River Taw. The Rising Sun is a fantastic pub that’s built into this magnificent historical building and offers one of the most splendid options for diners. There is a Table d’Hote menu as well as a casual bar menu, but each manages to bring out all the elements that the pub is famous for. There are some extremely elegant dishes to go with the pristine setting of this wonderful pub. Portraying the country life, the pub is the best place to get a taste of what Devon and English food is all about. A cosy pub with low ceilings, beautiful wooden beams and an exquisite menu to match, you definitely need to pay a visit to this wonderful casual dining experience that also allows pets. 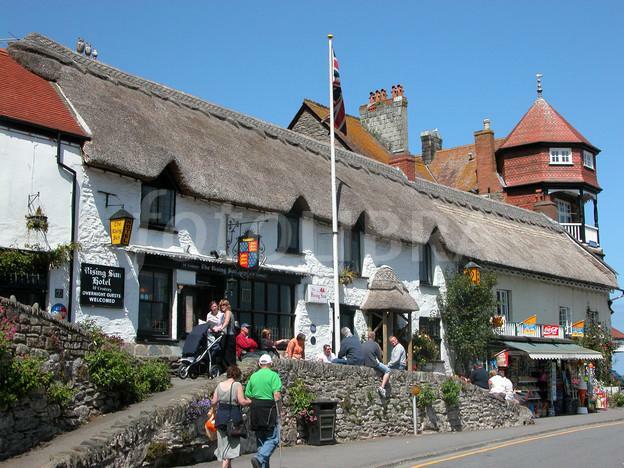 In the South Devon area, South Brent has the honour of being host to the Royal Oak pub, a fantastic award winning establishment that brings out the entire British pub-culture to the fore. Constantly busy and always buzzing with people and excitement, The Royal Oak has become a landmark in this picturesque village. There are some wonderful leather sofas alongside the bar area, which has a large collection of real ales. 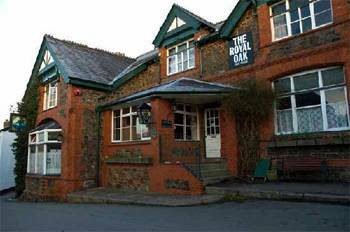 The Royal Oak also has its own restaurant and function room with some of the best food you will find in Devon. Their ales match their food menu brilliantly and although this pub is known more for its drinks, you will find the food quite underrated and equally brilliant at all times. Stoneycombe, in South Devon, is the best place to be if you have perfect pub-grub on your mind. The village is a charming symbol of Britain, a relaxing place to be in and the wonderful Bickley Mill is just the perfect place to have a wonderful meal. Whether you sit outside and take in the beautiful weather or simply stay inside in a wood-panelled cosy bar, you will always find the Bickley Mill a brilliant place to be in. The pub is known, primarily, for its excellent food that includes stuff from all eras. There are traditional casseroles to go along with some fancy curries, giving everyone something to enjoy. And there’s the brilliant line of desserts as well. 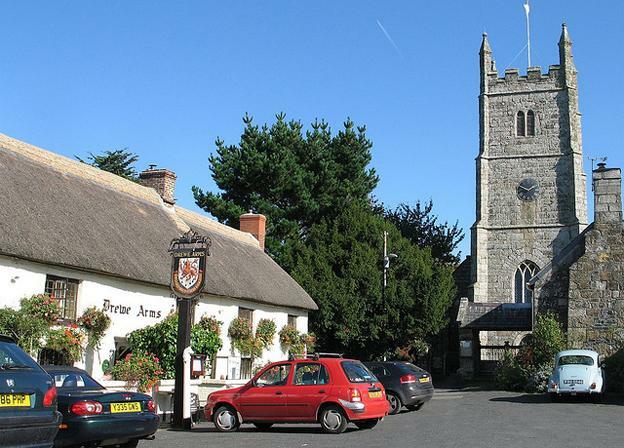 If you are on a budget holiday, enjoy camping in Devon instead of staying in a fancy hotel and spend the money on these fantastic pubs to satisfy your taste buds. There are plenty of other pubs where you can enjoy some brilliant English pub food that has people lining up outside their doors. The Drum Inn at Torquay, the Two Mile Oak at Newton Abbott, the Nobody Inn at the Doddiscombsleigh, the Fox and Goose in Lynton and many more, are all brilliant pubs that deserve to be amongst the best places to eat pub grub in Devon. If you are coming into the county, make sure you stop by at one of these spectacular joints and get yourself some authentic, traditional pub grub amidst some of the most beautiful settings you will ever see. Mark Drouman, the author of the “Guide to the best pub grub in Devon” is a full time teacher and social media enthusiast.